Find broken (404) pages. Offer to help. You'll need Majestic.com, a web browser, and a lot of patience. 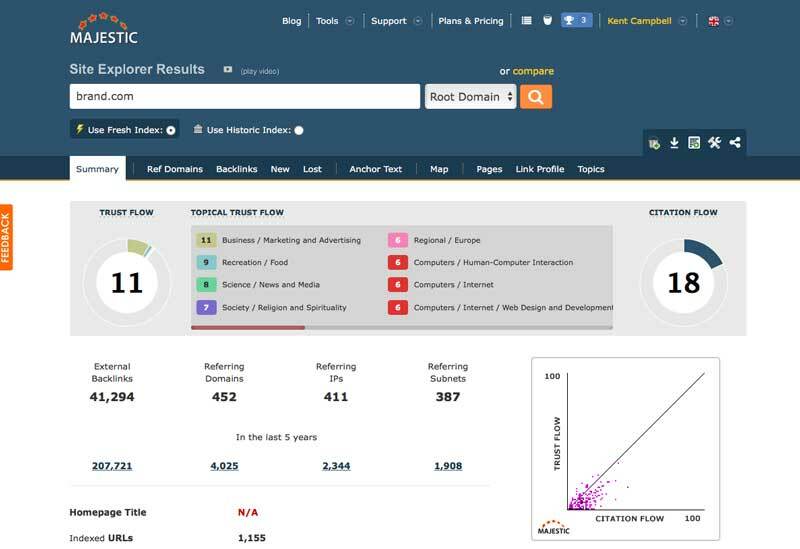 The first step in broken link building (404 link building) is to open up Majestic.com and run a backlink check on an expired domain with the kind of links you want. In this case we're using Brand.com, an online reputation management company that went out of business years ago. It's been picked pretty clean, but there are a few opportunities left so we'll use it as an example. Perform a search for Brand.com. After you've run the search for the website whose links you'd like to capture, click on the Pages tab in Majestic. 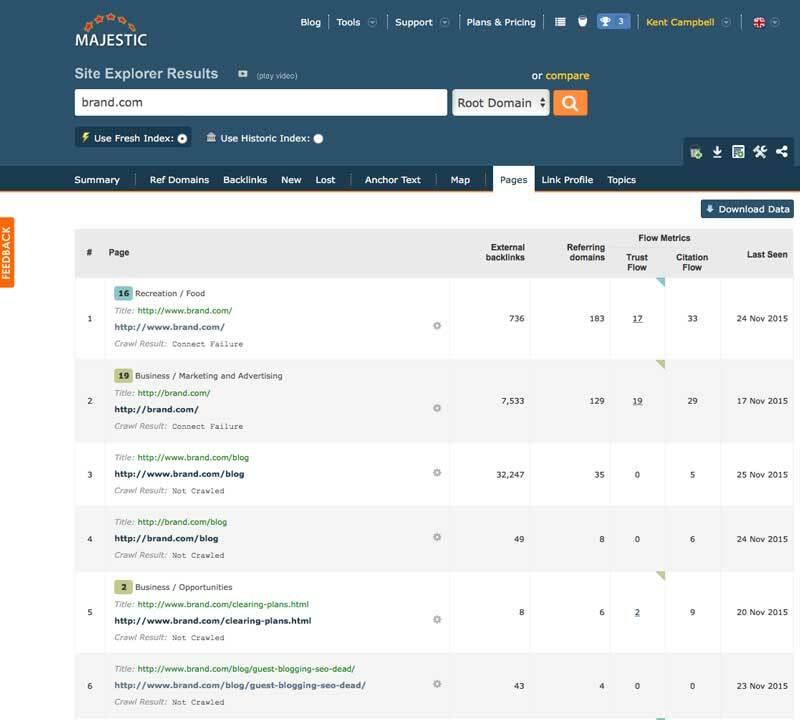 In the Page tab you'll see which pages are considered the most important by Majestic. 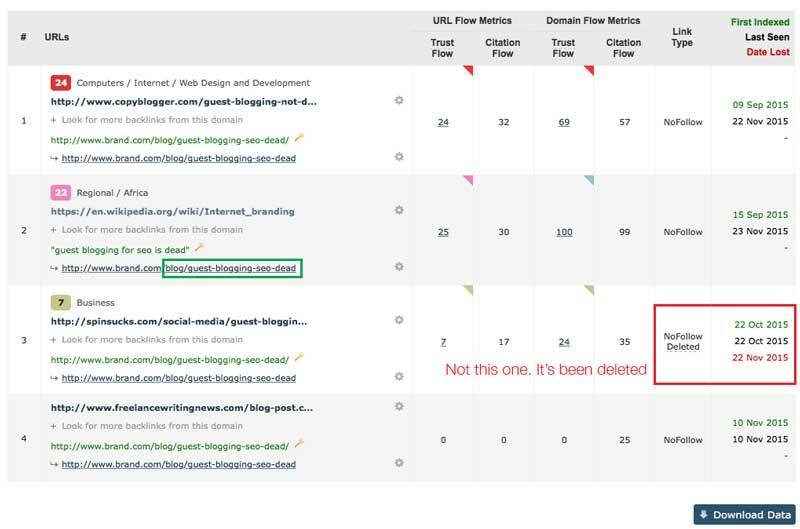 You can see in the image above that the home page is most important, then the blog, then a page called "Clearing Plans", and then one about guest blogging for SEO being dead. We're going to focus on the last one. Click the gear icon and select "Backlinks". Once you've drilled down by clicking the Backlinks in Majestic you will see a list of the web pages that link to this page. Remember, this is a dead site. It went out of business. So every link to this site is a dead link. 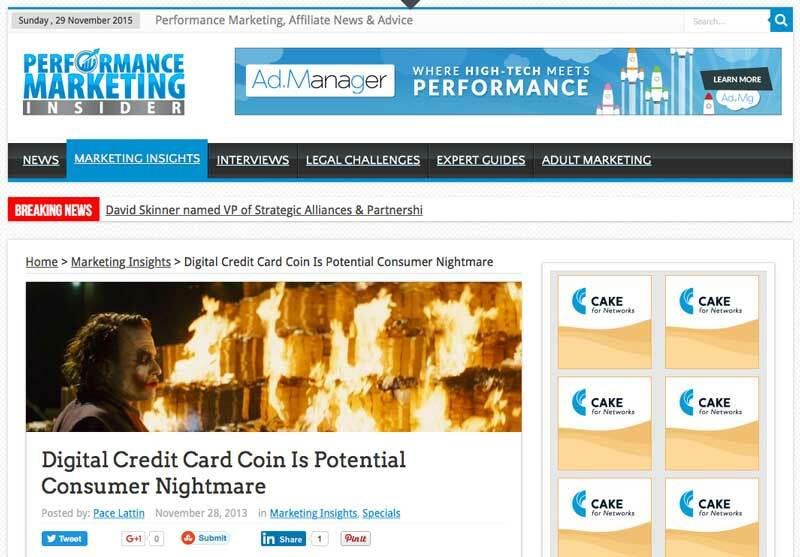 Dead links are bad for websites, webmasters don't normally want them. 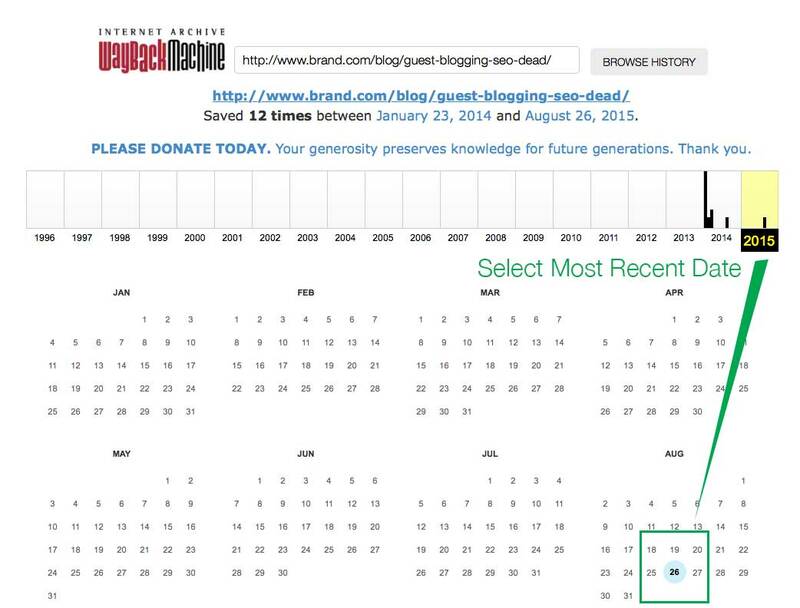 You will want to look at the list of pages on peoples sites that link to the dead page (Guest Blogging SEO Dead). In this case there are four. They include copyblogger.com, Wikipedia, Spinsucks, and FreelanceWritingNews. All of these ilnks are NoFollow. NoFollow links are not ideal, but we're going to go with it in this example. Wayback Machine is called the Internet Archive. You can see what pages looked like on millions of websites in the past. In this case we are using it to see what the dead links once pointed to and get an idea of the content. You're going to use Wayback Machine to see what the page used to look like, what content it had and why someone linked to it. Copy the URL from the other open Tab you have and paste it into Archive.org (Wayback Machine). Paste the URL you got from Majestic into WayBack machine. Press Enter. Select a recent date to see what the Wayback Machine has. Note the full URL of the post. Sometimes the page was already gone when Wayback Machine cached it. In this case, go to a later date using the calendar in the upper right of the screen (it has the date Oct 26 in the screenshot below). In the screenshot below you can see that though the first one didn't work, we went back in time to August 1st, 2014 and can now see what the content of the page looked like then. We do not want to copy this content, it may be copyrighted. But we can help out blogs that link in by re-creating a better version of this content. Go to the blog and create a better and more up to date version of the blog post. It roughly follows the content of the original (now dead) blog post but will be updated with more recent information and a nifty image. Now go to the tab you should still have open with Majestic. It should have the four backlink partners we found previously. In this case we chose Wikipedia because we can edit it directly, but you can also locate the contact information of other blog owners who have linked to the page offering to help them fix that broken link. 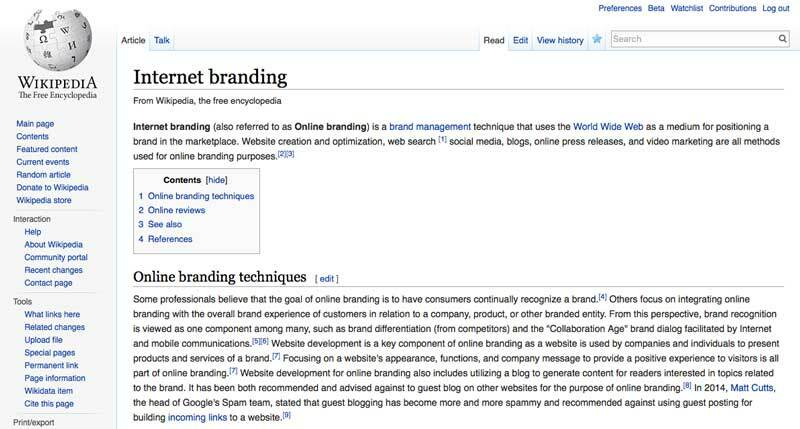 Here is the Wikipedia page on Internet Branding with the broken link to the Brand.com article on Guest Blogging being dead. Edit the Wikipedia page by logging in and finding the information about the link and changing it to your updated link. The problem with Wikipedia is that even though your page might be great, it can be deleted at the whim of a Wikipedia editor. Other sites have linked to the article. We went through the other three and found that the links were not something we felt would help. For example, the CopyBlogger link was a comment on the bottom of the page. That comment can't be changed by the site owner, so we skipped contacting them. We don't want inbound links from Comments. The link from SpinSucks had been deleted. Note in the original screenshot it said "NoFollow Deleted". So we don't want to contact them. Freelance Writing News is the same article from CopyBlogger, with a comment in the bottom. Again, no go. But what if one of them had been a candidate to contact. We'll use a different broken page as an example for that. In this case we'll target a different dead page to find a useable backlink. The PerformInsider.com link points to the Clearing-Plans page on Brand.com. It's a dead link. So let us try to help Perform Insider out by fixing their link. You'll have to find out who to contact for this, so click on the link in Majestic while holding down the Command Key (on a Mac) to open another browser tab (so we don't close the Majestic page). Scroll to the bottom, click on "About Us". That page has contact information on it. I noticed a broken link on your site and want to help you fix it. Fixing a dead link is hard work, so I'm offering a few lattes at Starbucks to help keep your energy up. 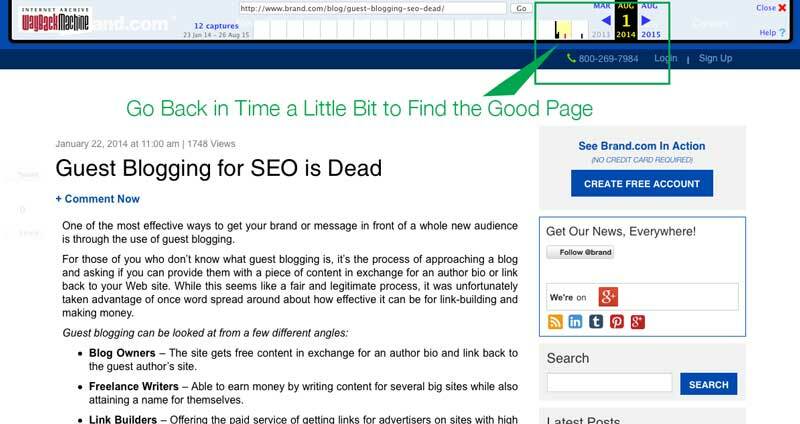 :-) The link on your site points to a dead page on Brand.com. We have a better, more up to date page with better information that isn't dead. Would you mind switching out the dead link for ours? Dead link anchor text: "care about their reputation"
Also, if you are in need of any guest posts yourself, let us know. We're happy to help.